Having spent over US$5 million with watch dealer Bob Maron, John Mayer is now suing Maron, best known for having Charlie Sheen as a client, over US$656,000 in what Mayer says are fake Rolex watches. Am I worth a lot of money? John Mayer, the American musician who collects watches and sometimes shares photos of them on his Instagram account, has recently made headlines along with watch dealer Robert Maron. Having been a client of Maron’s since 2007, Mayer had spent about US$5 million with Maron. Mayer, in a complaint filed in a California court, alleges that US$656,000 of vintage Rolex watches he bought from Maron were counterfeit or had counterfeit parts. He discovered this after sending the watches back to Rolex, which rendered the counterfeit verdict. While striking, this is no surprise given the state of the market. Vintage Rolex watches have racked up spectacular – truly spectacular as the Christie’s Daytona sale demonstrated – gains in value over the last few years. There is more wealthy buyers spending more money than ever before. Parallels with the markets for art and wine, where such disputes are common, are obvious. Vintage Rolex is a field particularly susceptible to allegations of skulduggery, not just because enormous amounts of money are being thrown around. For one, the watches themselves are intrinsically simple, inexpensively made timepieces. 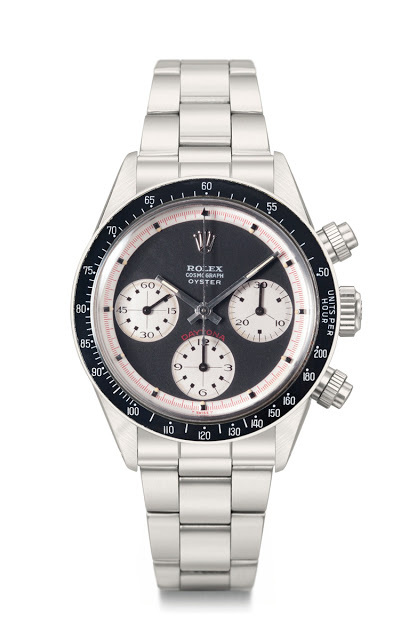 At the time they were produced, what are highly desirable vintage Rolex sports watches and chronographs were generally entry to mid-range timepieces that were the choice of sportsmen, military personnel and the like. Reproducing or modifying something that was uncomplicated to begin with is a correspondingly uncomplicated task. And the second reason is the lack of an officially sanctioned body of knowledge. Rolex itself never comments publicly on its vintage timepieces, leading to talk that it lacks detailed records of what it made. Though Rolex does authenticate its vintage timepieces, there is vigorous debate amongst collectors on how much stock to put in that. And Rolex sometimes replaces components in vintage timepieces with similar looking but newly manufactured parts, which adds to the confusion. The result is that the expertise in the vintage Rolex market is largely and closely held by dealers and to a lesser extent, auction houses. This gives rise to a self-evident conflict of interest. And it is illustrative that even vintage watch dealers get into spats between themselves over authenticity. Disputes like the one between Mayer and Maron often happen in the art world, where the sums, and egos, are larger. But the art market carries on. And so it will for watches.